Why Choose Green Clean Commercial Cleaning Services? Green Clean uses EPA rated chemicals that are classified as “Green”, and environmentally friendly. Selected by the Clorox Company to exclusively launch their commercial product line. We utilize microfiber cloths in all cleaning functions to trap more dirt and allergens. Certified by the Green Clean Institute and other respected organizations in Las Vegas. Green Clean has been serving the Southern Nevada business community since 2003. We are fully insured, hold business licenses in Las Vegas and Henderson, and are a “Green Clean Certified” company. Green Clean Commercial Cleaning Services holds the Green Clean Institute Certification for ownership, management and employees requiring annual inspection and recertification. Green Clean is a board member of the Green Chamber of Commerce and is an active participant in the FIT (Foundation for an Independent Tomorrow) Program, a grant application to support workforce development targeting “green” jobs and the “green” economy. All of our staff are Green Certified and training in the latest cleaning techniques. We utilize microfiber cloths in all cleaning functions since they trap and secure more dirt and bacteria than standard cleaning cloths. The use of color-coded microfiber cloths also eliminates the unhealthy problem caused by cross-contamination. 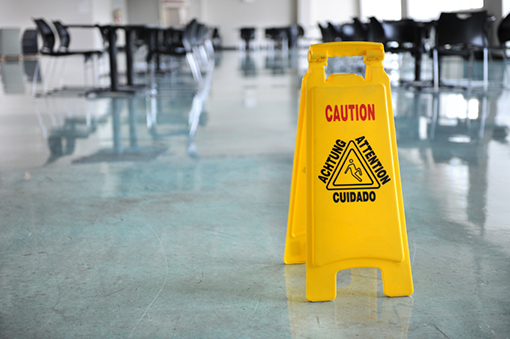 Our floor care and carpet cleaning programs also utilize the highest grade chemicals, and our floor finishes are designed to wear the longest, reduce marks and enhances the overall appearance of your facilities.